Please contact the Manager for information about joining, or just turn up on on a Saturday morning. We train every Saturday morning at The Misbourne School between 10:00 & 11:00. Training starts on September 1st. Click here for the South Bucks Mini-Soccer Conference website. Click here for the league rules for Under 7s. This season we will be playing friendly 5-a-side games against players from other clubs. 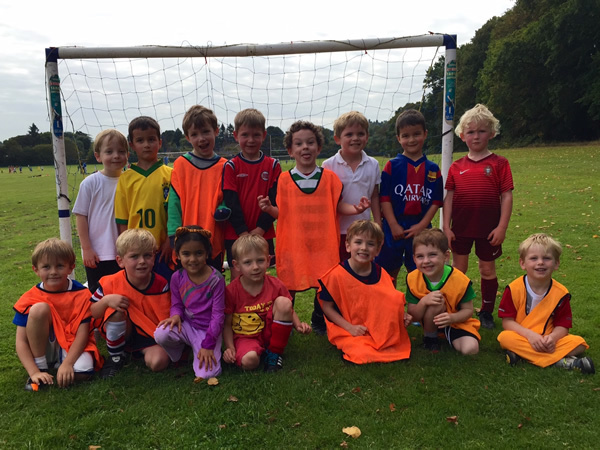 Matches are on Sunday mornings at The Misbourne School and at venues across South Bucks against other teams in the North Division of the Conference's U7s League. Click on these links for the fixtures calendar and divisions.